Innovative and understated, Chef Teri McIllwain’s menu features California cuisine expertly crafted with fresh, farm-to-table ingredients to satisfy the foodie in all of us. Highlighting North County’s coastal culture, fresh seafood has a superior place in the Chandler's Restaurant kitchen. Teri’s team takes advantage of locally sourced ingredients, readily available here in SoCal, for a seasonal approach to everything from apps to desserts. Delight in dynamic presentations that are familiar but never ordinary, and give a sense of coastal San Diego in every bite, with stunning sunsets served daily. Chef Teri’s culinary knowledge and familiarity with the north county San Diego lifestyle give her a unique perspective on crafting and delivering truly flavorful and eclectic California cuisine. 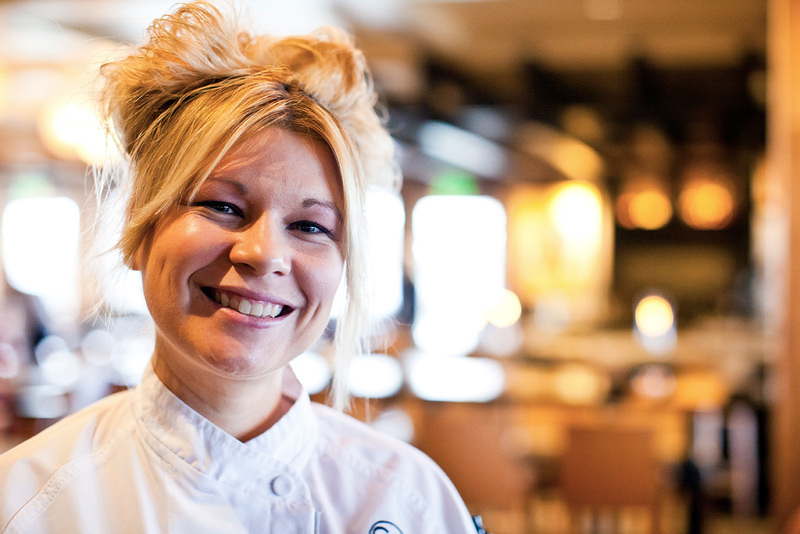 It is the love of the kitchen that drives Chef Teri to experiment, teach and lead as the culinary director at Cape Rey, promising to bring incredible dining experiences to the coast. 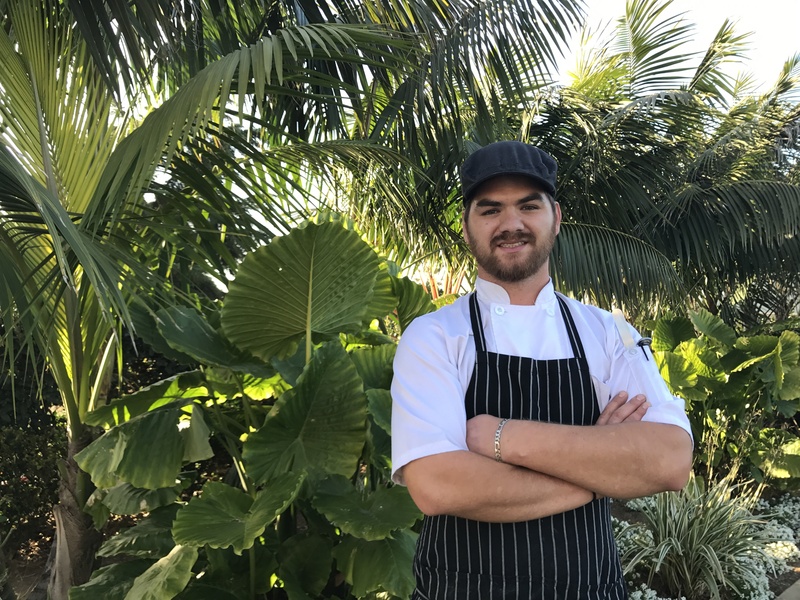 Prior to joining Cape Rey, McIllwain served as chef de cuisine at Omni La Costa Resort and Spa working in nearly all of the resort’s culinary outlets, including Diversions Sport Lounge, Bluefire Grill, catering and banquets. While at La Costa, she also served as a nutritional chef for the on-site, wellness-focused Premier Fitness Camp and Chopra Center. McIllwain attended the San Diego Culinary Institute after entering the field as a private chef and Bon Appetit culinary instructor for Sur La Table stores in San Diego. Originally from the Philippines, Vishmark made the move to the United States in 2009. After travelling throughout his home country and Southeast Asia, Vishmark developed a passion for creating new menu offerings with Asian flavor influence. 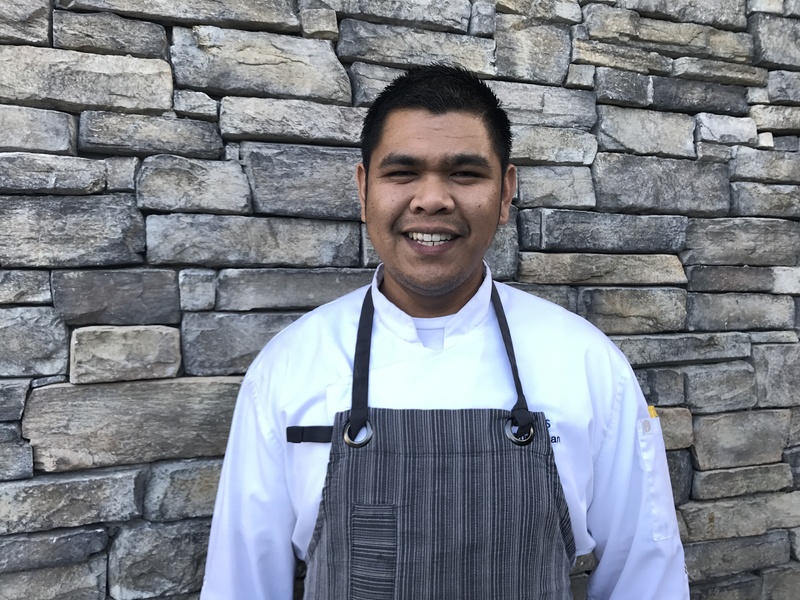 A graduate from San Diego Culinary Institute, his past experience also includes working at Roy’s of La Jolla. Vishmark has been in the Chandler's kitchen for 4 years and counting. Outside of the Kitchen, Vishmark enjoys traveling. Meet Chef Jason! Locally raised, Jason grew up in North County and has a great passion for his hometown. He loves the perfect weather, the ocean, and having accessibility to use the best produce, seafood and meats in conceptualizing his culinary creations. Completely self-taught, Jason has been working in restaurants across North County San Diego for over a decade. His passion for cooking started very young, helping his parents prepare meals at home for he and his brothers. And at 16 years of age, Jason landed his first job at a restaurant. When Jason is not in the kitchen you can find him outdoors enjoying his favorite past times: gardening, fishing, hiking, and camping. 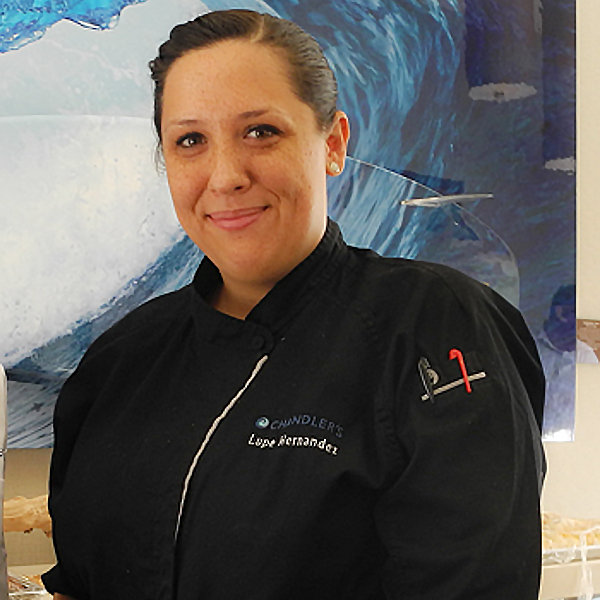 Receiving her certificate in Patisserie and Baking from Palomar College, Lupe is truly an artist in the kitchen. She loves experimenting and creating new desserts for all to enjoy. Prior to joining the Chandler's team, she worked at La Costa Glen as the Pastry Chef. Outside of the kitchen, Lupe enjoys spending time with her 4 pugs and 6 other pets.